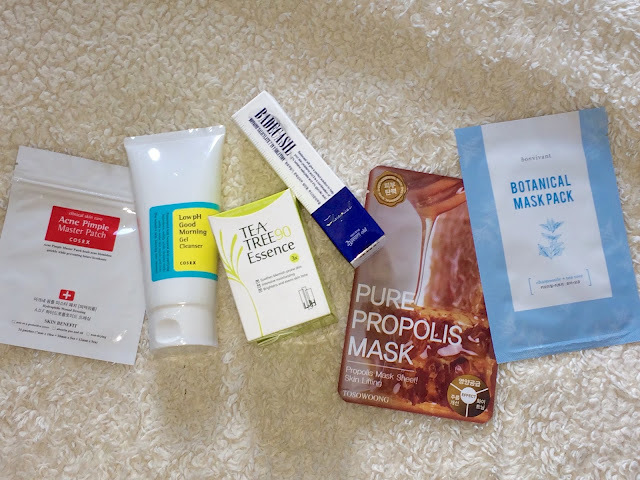 Half Past October: An Acne Fighting Giveaway! Giveaway ends February 28th at 11:59pm cst. A winner will be drawn within 7 days, and will have 48 hours to respond to my email with a shipping address. What a awesome giveaway. COSRX pimple patch and morning cleanser are high on my wishlist, really want to try them. Thank you so much for hosting this giveaway! I love Cosrx, and currently use the cleanser and patches. But I've been dying to try the Leejiham Tea Tree 90 Essence!